"Bringing Excellence to Contact Center Solutions by Instituting Quality , Integrity and Service"
A contact center can be explained as a synchronized system of people, processes, technologies and strategies that delivers access to information, resources, and expertise, through appropriate channels of communication, enabling interactions that create value for the customer and organization. Prologix a leading system integrator in Middle East and Africa provides best in class contact center solutions to our customers. We design the strategic solutions to manage the customer interactions with the help of innovative technology 24/7. 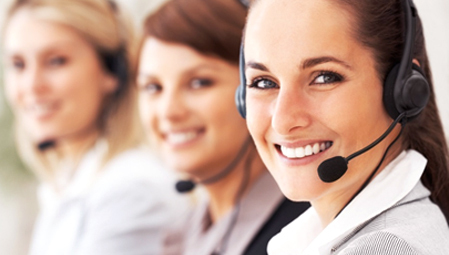 With our contact center solutions work faster and smarter from different parts of the globe. Prologix helps in leveraging the power of technology to personalize the customer experience in a contact center. Cisco Unified Contact Center Express delivers a highly confident, accessible, simulated, and sophisticated customer interaction management solution for up to 300 agents. Cisco solutions play a major role in enhancing productivity and customer satisfaction. They are east to deploy and use. Vocalcom contact center solutions work smarter and faster from different parts of the world. The solutions enrich the entire customer experience and fluently deliver personalized service. Vocalcom’s continuous, unified interface efficiently routes customer enquiries and enhances performance. Avid products are now used in the television and video industry to create television shows, feature films, and commercials. Media Composer, a professional software-based non-linear editing system, is Avid's flagship product. Avid enables you to connect with your audience in more powerful..